Investments made BISNet, Inc VizKinect Inc. ArmaTerra, Inc. AcroTech Systems, Inc. Maslow Six Entertainment, Inc.
Board seats BISNet, Inc ArmaTerra, Inc. AcroTech Systems, Inc. Advisory positions VizKinect Inc. XplorIt, Inc, ArmaTerra, Inc.
BISNet, Inc, GMG Insurance Services, Inc., JuiceHounds, Inc.
Online Employee Benefits Communication, Enrollment, Administration and Transaction solution to HR systems, payroll systems, third party administrators and over 100 insurance carriers. We managed over 50,000 employees plans, eligibility and elections. We also helped corporations with premium bill reconciliation and billing and so much more. Our focus was also on a high level of service and we had a great team to execute our directive. I love creating new products and services that improve customers and peoples lives, helping other entrepreneurs grow their ideas into business and be successful. Planning for the best outcomes and not looking at the reality that a business needs to make money. Sometimes that involves very difficult decisions and many times they are not prepared to roll-up their sleeves or make the decisions so the company continues in the same path or dies. Have a great idea or find and validate great SaaS ideas and put 150% into it. Work with entrepreneurs that have significant and relevant experiences. Have large markets that have profound needs and the ability to pay for solutions that can solve those problems and improve their lives. 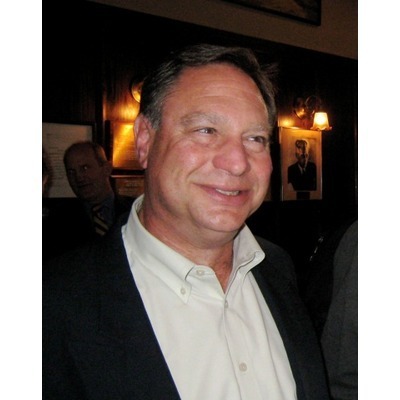 Gary Goldstein – President and COO, My experience is as a founder, Chairman and CEO of an Online Benefits Administration company I sold called BISNet and COO of others allows me to be a versatile and powerful addition to Insynctive. Insynctive can help these distributors with the largest portion of their book of business, reduce their costs by eliminating paper and incorrect data, differentiate their services which will allow them to retain their book of business, win new business and generate more profits without hiring new employees. I am a business coach for start-ups, small to mid-sized businesses and divisions of corporations focusing on helping them get started, conversion from R&D to ongoing operations, development and execution of a business plan and sales strategy, bootstrapping and fund raising. Gary added VizKinect Inc. as an investment.